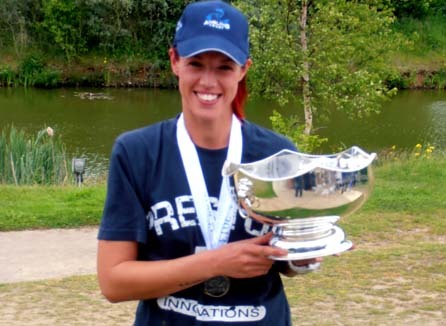 Pic caption:Emma Pickering with her 2013 Ladies National Angling Championships winning trophy. 40 Ladies faced rather cool and breezy conditions at Colemans Cottage Fishery, Essex on Saturday 8th June 2013. 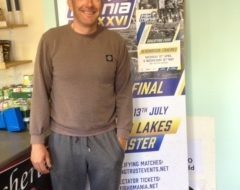 The match fished on Stepfield Lake proved to be a match of two halves with the first nine weights all coming from the front halve of the lake, even though the back halve had a lot of extra fish stocked earlier in the week. 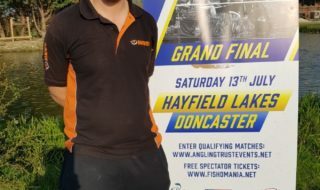 Former Ladies’ National Champion and England International Emma Pickering (Doncaster AA) ran out the winner with her 32 kg 500 gram weight, a mixed bag of F1s, smallish carp and silver fish taken mainly on worm tails. Emma started at 4 metres on Peg 21, but had to follow the fish out to 6-7 metres to stay in touch with them. Runner up position was taken by Suffolk County Gold angler Jessica Knights on Peg 3 with 25 kg 630 grams, again a mixed bag taken up in the water to start off, and later Jessica found some better fish down in the margins. 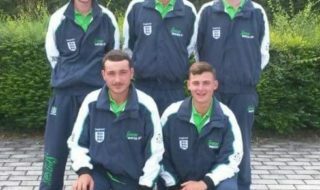 Jessica as the highest placed Under 21 angler took the Claire Dagnall memorial trophy. Sophie Davis, (Starlets AS) last year’s Champion took third place with another mixed bag fishing pellet short to start with and using the method feeder to the island before eventually coming in real close to finish with 24 kg 720 grams at peg 11. In fourth place was Elizabeth Larkin from Colchester on peg 2 with 21 kgs 920 grams. Fifth place went to Samantha Perkins (Doncaster AA) 21 kgs 830 grams on peg 5, and in sixth place was Abi Brewster (Suffolk County Red) with 20 kgs 520 grams from peg 24. The team trophy was taken by the Doncaster Quartet of Emma Pickering, Sam Perkins, Abi Kendall and Samantha Sim with a fantastic total weight of 88 kgs 770 grams. Second place went to Suffolk County Red with 62 kgs 500 grams, and last year’s winners Starlets AS finished third with 58 kgs 160 grams. 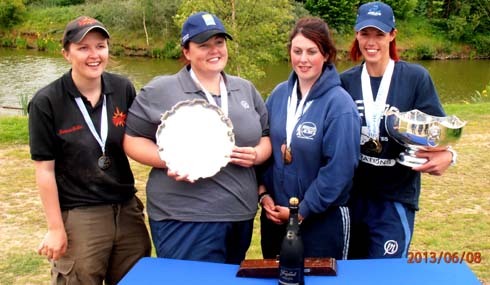 Next year’s Angling Trust Ladies’ National Championship will be held on Saturday 7th June at Preston Innovations Boldings Pools at Bridgnorth, Shropshire. Pic caption:Doncaster AA – The 2013 Ladies National Angling Champions.